Included in the LGP version are the battle model and field converted models. Repack your battle and char.lgp with the archive files. Gorgeous! Will replace her right now! kind of a mute point but her skirt look like shorts now. Otherwise fine job man. Just tried her out, and she's beautiful! Great work BloodShot! She's beautiful, great work Bloodshot. I put together an .iro for you, it's in your messages. Brilliant! All she needs now is HQ weapons. This model is brilliant! I will make a tribute video sometime. Just one last thing, how much time it took you to do her? This looks really good in game, thanks! Seems like every other decent Tifa model was outlawed because it was hacked, so it is really cool to have a good one that is legit, too! For easier installation look into 7thHeaven. You can install mods without actually changing the games files. I'm using bootleg config is there anyway to add it to that since i have all my mods already in that??? Screen shots don't do it justice. This model looks awesome in the game! Uh, how do I install this? Like, all kinds of cool stuff like this, where do i put these files? Or is there a thread somewhere about how to add all these custom graphical mods? I'm assuming that these will work in BFE.exe if I place files along with the rest of the files I got from Tifa's Package, but I don't think that'll work. Maybe there's a mod manager I'm missing, i dunno? Sorry if I'm being dumb. Thanks, that worked out great! I also managed to get cmh175's Red XIII model working in the 7th Heaven program, too. I've downloaded a bunch of other graphical mods from the forums here, but those are the only two that seem to work in this program. Does anyone have any reccomendations for more .iro files that can work with this? 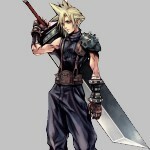 I'd really like to get a new skin for Cid- as Cloud, Tifa, and Cid are usually my main characters. And, is there any more kinds of programs like 7th Heaven that I need in order to get all the other mods I have working? Like, I have a file; HD Cid.7z that I would also like to use, but when I open up the folder it has a bunch of folders inside like Battle, Chocobo, Field, World- but no .iro versions. Is there another way to get these kinds of files working, because I don't think they're meant for the 7th Heaven program, right? If in the folder are sub folders with the ending lgp (like battle.lgp, char.lgp, etc. ), you can paste the folder to your iro files. 7th Heaven is able to use foders, too. you can paste the folder to your iro files. Sorry, I don't understand what this means. Also, now I'm coming across an issue where if I start up the game from 7thHeaven the game's music won't work. If I start up the game from the Bootloader the music works again, but the stuff from 7thHeaven won't. You can set 7th Heaven to run an alternate program alongside it, so have it run FF7Music to get your music back. The point of 7th Heaven is to inject mods during gameplay, effectively eliminating installers that merely copy over old files. This allows you to enable/disable mods freely without having to use any kind of installer. The safest approach is to use 7th Heaven for all textures and manually mod everything else. You will need to study and ask questions on the 7th Heaven thread to figure out how the folders can be setup for mods to be used and what cannot.